Pioneering data-driven applications since 1995, Envisage Information Systems provides cutting-edge software for today’s retirement industry. However, according to Envisage Co-Founder Steff McGonagle, the road hasn’t been easy, and he still has yet to return to driving circles in the field. Starting his career as a software developer, McGonagle co-founded Envisage in 1990 with a mission to see the startup evolve into a successful software firm assisting people plan for retirement. 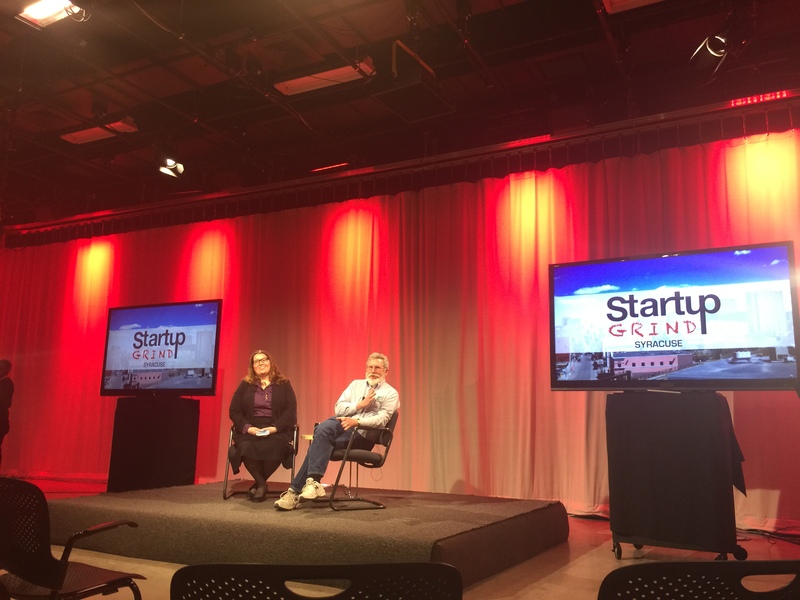 Now a company known for solving problems, McGonagle shared some of the trials he faced in making Envisage the thriving company it is today at Startup Grind hosted by WCNY in Syracuse, N.Y. Diving right in, McGonagle said his highest and lowest moments at Envisage happened in the same week, when the company lost a bunch of clients in a very short period of time. “We started the week on overload, and ended the week with almost everyone being unemployed,” McGonagle shook his head. He remembered gathering the team to break the news. Not knowing the future of the company, he encouraged his employees to take on other work. Instead, the bulk of his team stayed and worked for free. Some of these team members are still with McGonagle today. “It was a grind, but we came together,” said McGonagle. Continuing with transparency, McGonagle added to the story, revealing how the first seven years of Envisage were spent working out of the basement of his Upstate New York home, and how sure he was that if some clients saw the business was located in a field, he never would have landed them. In another specific memory McGonagle shared his embarrassment when during a holiday season he didn’t having much money for Christmas bonuses, so he snuck $50 dollars into each of his employee’s mailboxes. And that he did. Over the past three years, McGonagle’s company has grown from roughly 30 people to now employing about 300 engineers, analysts, project managers, testers and a dedicated team of support staff, making Envisage Information Systems one of the largest software development companies in the retirement industry. Feeling blessed to have maintained the same culture with 300 people that Envisage had with only a handful, the company-wide philosophy remains: working together creates the best solution for everyone. That in mind, McGonagle couldn’t stress enough during his Fireside Chat the importance of hiring the right team members, looking for candidates who are equal part talented, and a correct culture match. McGonagle continued to explain the company’s success is a formula of two parts hard work, one part preparedness and a lot of luck. He confessed that during a 10 year stretch many investors would walk through his company, and flat out say McGonagle would be out of business in a month. During these times he turned to the support of his family. “You will never be found wrong for making a decision you feel is right,” said McGonagle. Being the man behind the ideas however, McGonagle is not a fan of business plans. He believes forming a plan and expecting to then go out and execute it is not reality. Instead he suggests using it as an exercise. Afterwards place the plan in a drawer and start living in the real world, which involves responding to the market, and adapting to the needs of the market. “Sometimes you have to make a conscious decision to pass on some short term gains to get long term success. By doing this, you open the doors for innovation,” said McGonagle. At the end of the day, success or no success, McGonagle spoke often and highly of his family, admitting how surprising it is how many entrepreneurs aren’t married. When asked if his children have now followed in his footsteps to becoming entrepreneurs, McGonagle said one has, while the other has run far in the other direction. He said the road to entrepreneurship is not for everyone. 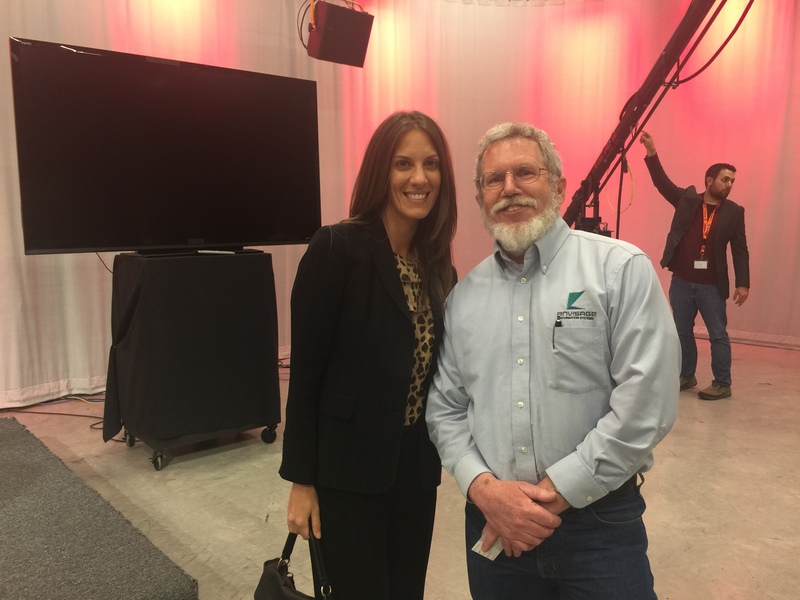 For more information on the Upstate Startup Ecosystem, explore the resources supplied by Upstate Venture Connect, or if you have a story to share, reach out to a Peacock Media Multimedia Storyteller here.